Shop locally made this holiday season at a one-day holiday market and winter lounge gathering over 40 of the Bay Area’s favorite and emerging craftspeople at the beautiful Barlow in Sebastopol. Shoppers will have the chance to direct their holiday shopping dollars towards the North Bay by shopping from a unique roster of makers, while exploring The Barlow, a former apple-packing warehouse now a 12.5-acre outdoor market district featuring local food, wine, beer, spirits and crafts made onsite by Sonoma County artisans. 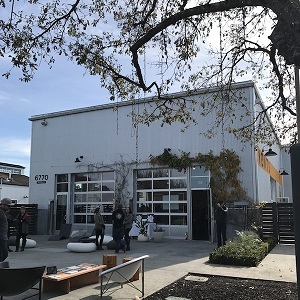 The Holiday Market gathers well-known designers from San Francisco, as well as up-and-coming brands from the East and North Bay.